How was your weekend? Mine was too short as usual. 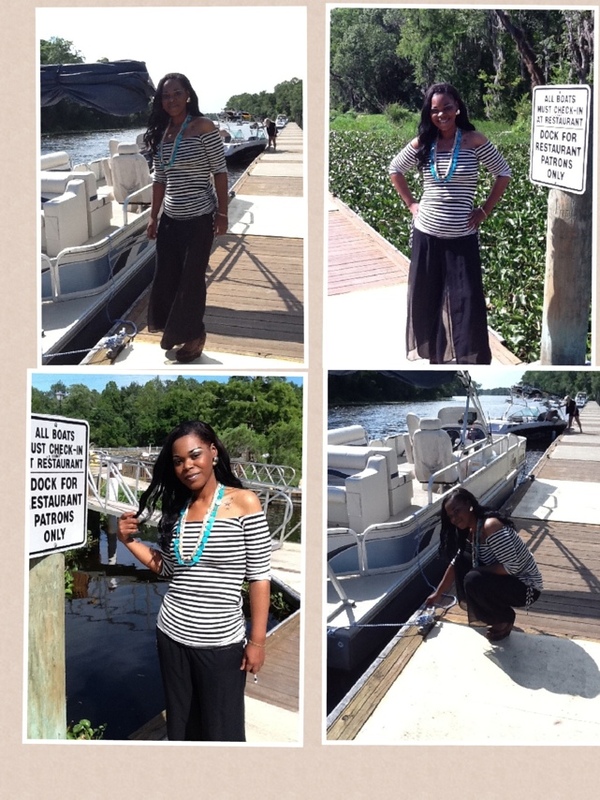 Yesterday me & my girls took a drive to St. Augustine Fl. To try out a seafood restaurant that we heard so much about. We were so disappointed with our experience there. The crabs were bland with no seasoning, and it didn’t make it any better that we were served a mixture of vegetable oil & and imitation butter blend for our dipping sauce. The oysters were even worse. They smelled like they were freshly picked from swamp water & were not steamed to my liking. But I must say I did enjoy the dock out back where we eventually went to chat & take pictures. Needless to say we won’t be heading down 95 anytime soon to return to Outback crab shack. But besides the horrible food it was great being with my girls to celebrate one of my closest friend’s birthday. 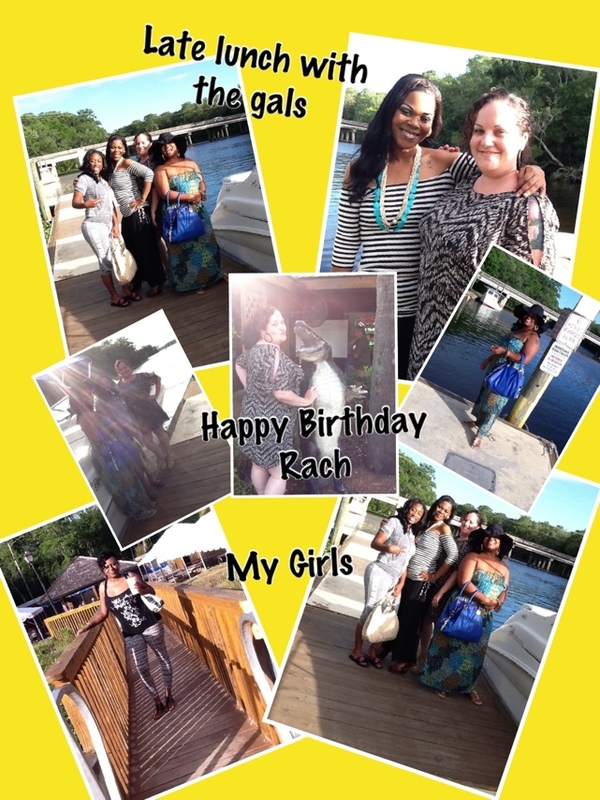 Happy Birthday Rachel. Love you boo……. Happy Monday all. I hope everyone enjoyed their weekend. If you ask me it came & went too soon. But that’s every weekend…. but anywho……. and hints of green. Again showing you can go many routes with red. Lawanda & I have very different style approaches. We are definately an unlikely pair of friends (let everyone else tell it). We met about 3 years ago & have been inseparable every since. We have so much fun together & she always has my back in every situation & I keep her balanced because she is all over the place (scatter brains I call her) but I luv her so much…….She tends to sport girly laid back looks with flats or wedges( her fave) I on the other hand don’t even feel right when I don’t have a heel on. I’m used to wearing them on a daily basis… As a matter of fact I only own 1 pair of flats. But as the summer months approach I do want to start looking for some really cute flat sandals & comfy wedges. We will be attending the essence festival in July & I know there will be a ton of walking for those few days. So if anyone comes across oh so cute flats & wedges. Send pics. As always thanks for stopping by & have a glammy good day….